It’s been said that beach bodies are made in the winter, and while that could be true, I say beach bodies are made all year ‘round. Unfortunately for Los Angeles, the lines we draw between the seasons can be rather blurred. No matter what time of year it is, rain or shine, there is always a place to go to sweat it out. If you’re not outdoorsy, then there’s always the gym. 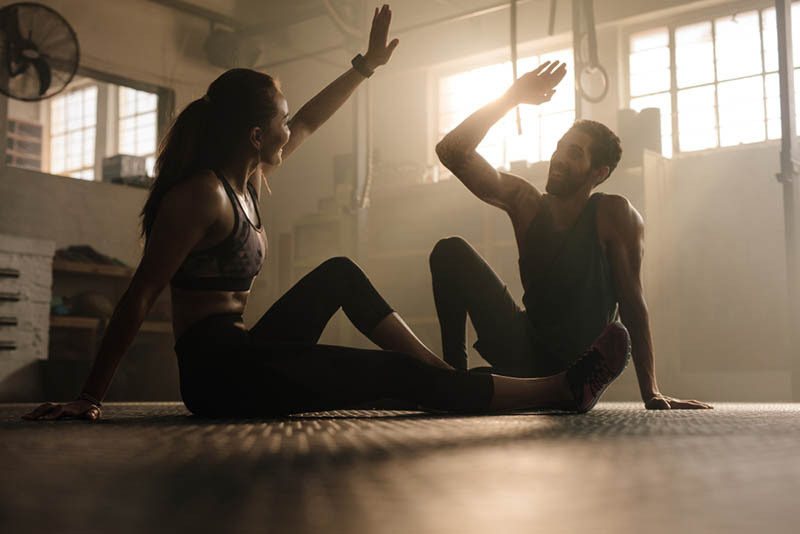 If the gym gives you anxiety, especially in a busy city like this, lucky for us there is a plethora of fitness establishments in Silverlandia. First you have to ask yourself, “What exercise works best for my body?” If you’ve suffered from many injuries in the past, getting in with the yogi crowd could be a great start. After sustaining injuries, the body needs a lot of stretching and blood flow to help repair and restore. Pulled hammies and back knots can only heal so much without your help. Yoga is also a wonderful go-to if you’re looking for something low impact. If you’re just now getting back into the fitness game and need a friendly studio, check out One Down Dog in Silverlake. Their signature class, SWEAT, lives up to its name. Paired with some bumpin’ music, a high energy instructor, and some time to sweat it out, you’ll be happy you joined in on the fun. It’s a smash-bag-fusion of yoga and cardio, could you really ask for anything more? If you’re looking for a drastic challenge, it’s time to hop on the cross fit bandwagon. Some like to argue that crossfit is bad for your body, but these might also be the same people who work out with pulled hammies and back knots. So before you listen to anyone else, listen to your body. Sure, crossfit instructors like to push you, but you know your limits better than anyone else. If 200 pound deadlifts are better suited for anyone else but you, then it’s probably best to level down. Remember, you’re there for you. Crossfit Los Feliz is an awesome, friendly space and you are always welcome there to sweat it out. Perhaps you’ve made the decision to shave off some weight without drinking grass juice and prunes for two weeks straight. Velocity Boot Camp has your back in this case. With their intense classes and supportive staff, you can meet your body goals in no time. They want you to break a sweat and feel accomplished. Interested in boxing but know you need to work on the fundamentals? Intention Boxing Fitness is your go-to spot for all levels. With an informative warm up and station-to-station format, the classes with Intention support the beginner learners as well as intermediate. Try not to sweat it out with Intention Boxing. I dare you. So there you have it. Four Silverlandia spots where you can stretch it out, work it out, and sweat it out. This neighborhood is filled with too many friendly fitness spots to count, so we’re starting you off easy. Make those fitness goals and get to sweating, you’re body and your mind will thank you for it.